I think I will start a new quilt today. I’m thinking a fall quilt would be nice. Devin loved the idea of me making quilts. He was so excited about the fact that I would be able to make a quilt for him. 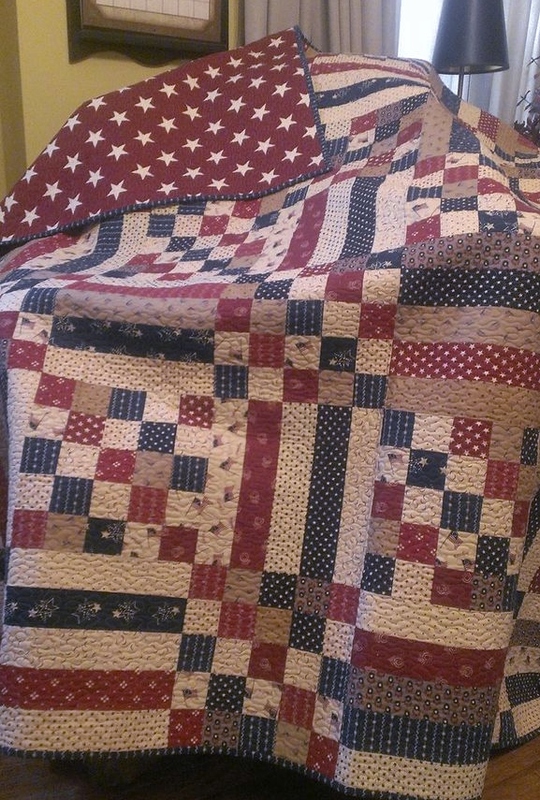 In fact, my very first quilt was made for him, but sadly he passed away before I could even start on it. 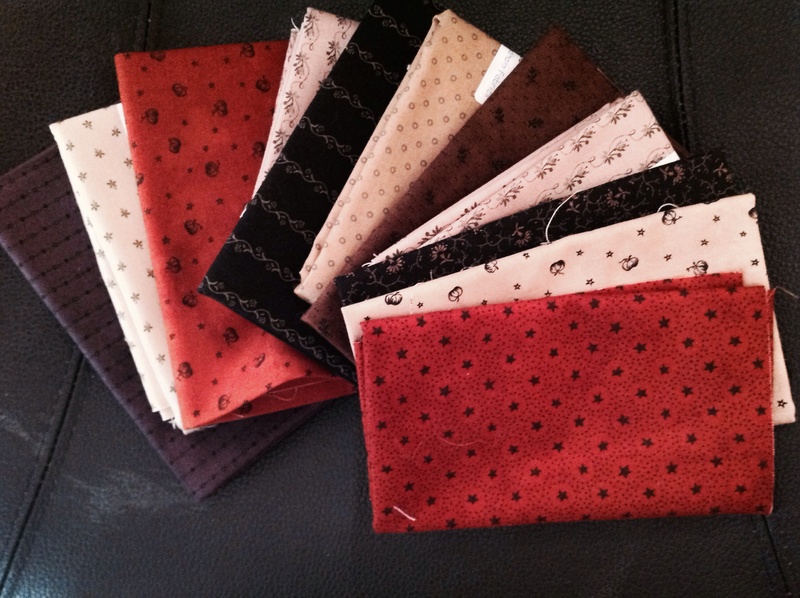 I had been collecting fabrics in Americana, just as he had requested his quilt to be made of. I finished the piecing at “HollyHock’s Quilt Retreat” at Rough River, KY in February of 2013. The following year, in 2014, it won 1st place in the quilt show, at the very same retreat. It was very comforting to hope, that maybe….just maybe, he could see all the love I put into making this simple little quilt, that was made just for him. It’s finished now, quilting and all and will eventually be given to Dustin. I see this quilt every day, as it hangs in my living room. It will always be a symbol of love and loss, and the most beautiful and meaningful one to me. Here is my Devin quilt: This is a pattern from Primitive Gatherings. My dons name is Deven too. Spelled differently. He and his brothet Damon did 8 Middle East tours betwern them and was there together at the same deployment for one year. I am so sorry for your loss and admire your courage as you make Devins’Quilts. I have begun ones for my sons and one for my doctor, whom I have a great admiration for his service and his care for his patients. Bless you as you create these special treasures for Americas Warriors! Thank you for sharing this beautiful inspiration! Would you mind sharing the name of Devin’s Quilt pattern. I could not find the pattern on Primitive Gatherings website. It is a beautiful quilt. Hi, Gloria. Thank you. The name of the pattern is “Fall Picnic Quilt”. You can enter that name in the Primitive Gatherings search window and it pops right up. Also, here is the link to the pattern. https://www.primitivegatherings.us/shop/product/17135-fall-picnic-quilt.html I hope that helps. Thank you Symantha for the prompt response.I ordered the pattern from Primitive Garherings this morning.